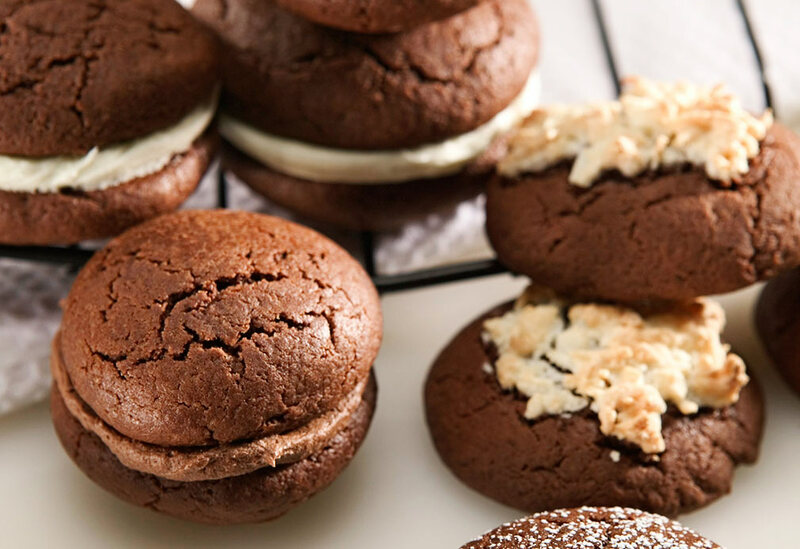 Chocolatey cookie sandwiches filled with creamy vanilla frosting. 1. In microwave or heavy saucepan set over low heat, melt chocolate. Cool. In large bowl, combine sugar, canola oil, milk, vanilla, eggs and melted chocolate. Beat well. 2. Sift together flour and baking powder and add to chocolate mixture. Mix well. Cover and chill for 1-2 hours or until dough is easy to handle. 3. Preheat oven to 375 °F (190 °C). Shape dough into 1 inch balls. Place 2 inches 4. Bake for 10 to 12 minutes or until tops are lightly browned. Remove and cool on wire rack. 5. To prepare filling: In bowl, mix together cream cheese, canola margarine, vanilla and icing sugar. Beat until mixture is smooth and well combined. 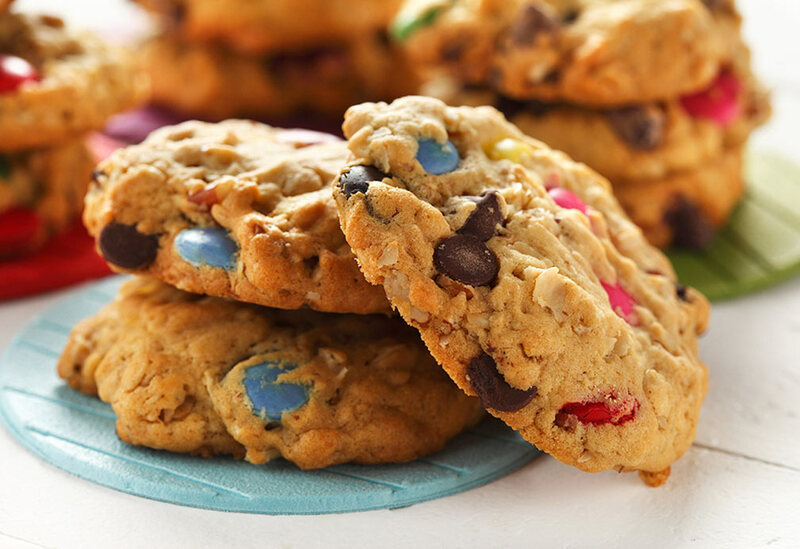 Place filling in between two cookies. 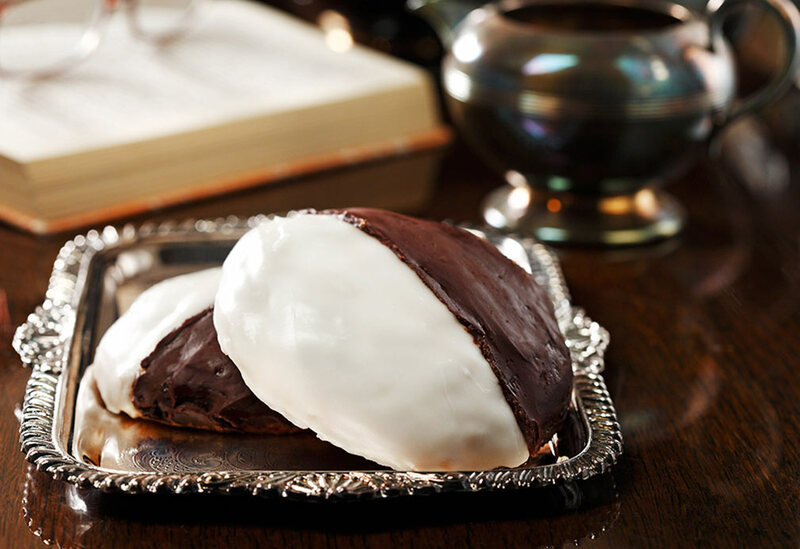 This iconic cookie, which has been around for almost a century, has become a symbol of New York City as it is still found in just about every deli and many bake-shops there. 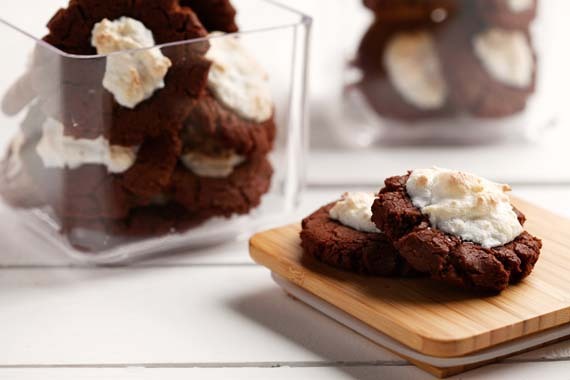 A moist chocolate cookie with a unique coconut topping.